You made a monthly donation of . You will be charged on the 23rd of every month. To cancel your subscription please email us at giving@novakdjokovicfoundation.org. We publish donor names in our newsletter, our annual report, and our website. We'd love to include your name so we can publicly express our thanks...and your commitment will inspire other people to give. May we list your name or would you prefer to be anonymous? Yes, publish my name No, don't publish my name. Do you want your gift to honour someone you care about? We can list their name, your name, or both. Tell us a little more about why you support our work. We're always interested in what motivates our donors to give; this helps us reach out to other potential donors. You just made a very generous decision – we'd really appreciate knowing why. Would you be willing to give a testimonial we can use in our newsletter and other promotional materials? Please write your testimonial below. How would you like to be kept informed about our work – and how often? Increase your donation by 25%. Gift Aid is reclaimed by the Novak Djokovic Foundation from the tax you pay for the current tax year. Your address is needed to identify you as a current UK taxpayer. Yes, I am a UK tax payer and I would like the Novak Djokovic Foundation to treat all the donations I make from 1 April 2010, until I notify you otherwise, as Gift Aid donations. Our donations are securely processed by Stripe. This means that our website never stores your credit card information and all sensitive data goes directly to Stripe using a secure SSL connection. Give children the chance to receive a quality preschool education. the gift of a self-sufficient life. 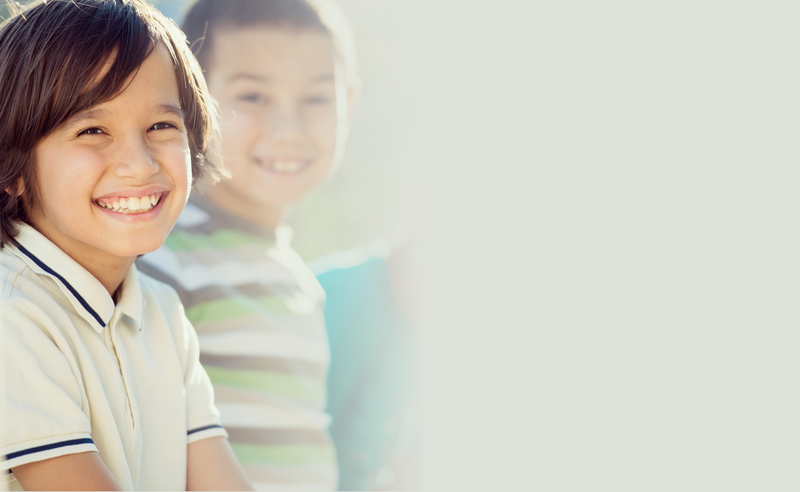 At the NDF, we believe that every child deserves to thrive. To discover their limitless potential. To believe that they are worthy of their dreams. With enough support, love and creativity, we know this is possible. A young boy Roman from London has found out that his favorite tennis player Novak Djokovic has founded a Foundation and is helping kids his age attend kindergarten. Knowing how much being in school and hanging out with his friends was important to him, he wanted to help his peers in Serbia get the same opportunity. He started a fundraising campaign for his 6th birthday and asked all of his family to swap his birthday gifts for donations to kids in Serbia. He managed to raise £646.83 so far. Not bad for a 6 year old? Thanks to Roman, now two kids in Serbia will be able to attend kindergarten. Make a difference by spreading information on the importance of investing in ECE and ECD. Iva is just your regular 4 year old, but before we opened School of Life in her village, she never had the opportunity to learn new things because there were no kindergartens in her town. Her parents worked, her grandparents didn’t have knowledge to transfer onto her. She also didn’t know many kids her age. I love kindergarten because I can draw a man, house and I can do all that with a felt tip pen. I especially like drawings.. no, I like the whole kindergarten! With Schools of Life and our quality pre-school program, she got the opportunity to socialise, learn through play and develop. Her future is just a step ahead. “We come to Friendship games to meet and keep friends from all over Serbia”. When asked if he thinks he will stay in touch with the friends he met, he was so full of plans on how to keep in touch. This is what he hope for: to promote inclusion, acceptance and learning through play. A girl with a smile that conquers comes from a very small village in Serbia. Her parents do not have enough money to send her on trips outside of her hometown. All the friends she ever had were the ones she grew up with. Last year, her school got the opportunity to come to Belgrade and meet other schools with kids just like Sara. “we kids don’t care where we come from. Help children like Iva attend quality pre-school programs. This is their inherent right. Help children like Luka get the opportunity to meet their peers. Help children like Sara get the opportunity to learn and develop through play.